Analog drum machine with a modular synth's personality. It’s more than a drum machine. It’s even more than an analog drum machine. It is an analog rhythm composer that carries sample support as well as a synthesis engine, but in addition to its integral sound-generating capacity, it can process any audio signal coming into it through its various analog processes. This is something new. With its internal processing capacity, you can add sparkle and brilliance or grimy roughness to any sound source. Samplers, drum machines, synths, the master bus, you name it. 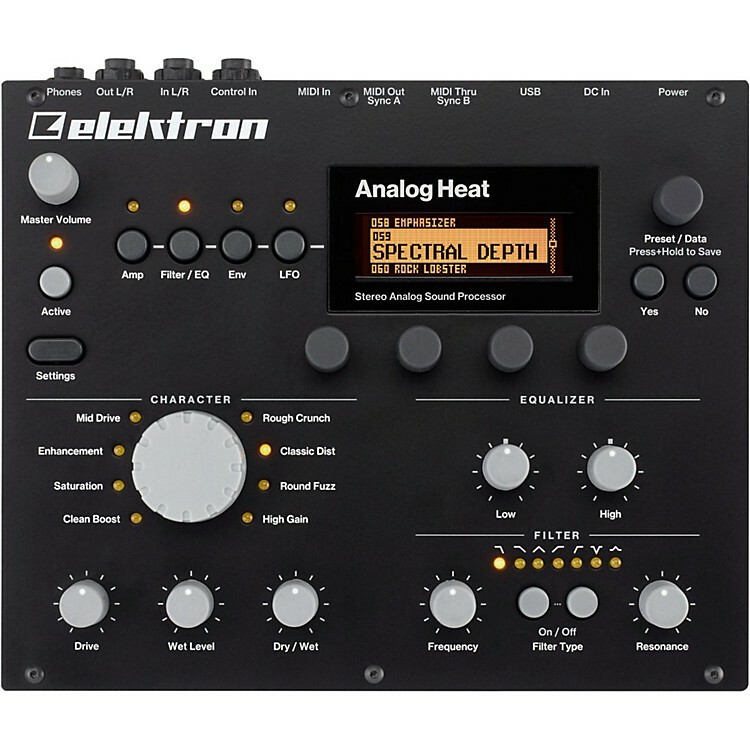 From top-line audio spec with crystal-clear resolution to fully mangled lo-fi sludge, Analog Heat combines two worlds together and in doing so, creates a new one. The Overbridge app allows your Analog Heat to be used as a VST/AU effect plugin. Connect the Analog Heat to your computer and conveniently smooth out the edges of all digital sounds. This is a highly useful attribute of Analog Heat. Tweak to perfection and then apply the sounds to your productions and bring your mixes to life. One of the most prominent Analog Heat features is that it can function as a 2 x 2 sound card, even while processing DAW audio. Perfect for the traveling musician. Create as you go and make stellar, high quality recordings wherever you go. This is an inventive design that will express your music beautifully. Order today.